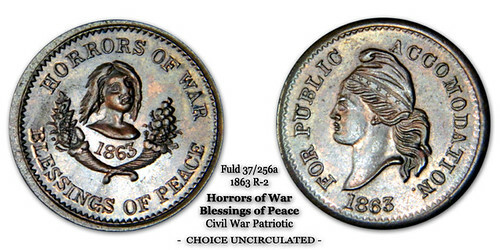 About 12 of us were at the dinner and since the theme was military service and numismatics, I brought a selection of World War I local service medals from the area, including ones issued by the State of Delaware (named), City of Norfolk (named), City of Harrisonburg/Rockingham County, City of Roanoke, City of Winchester/Frederick County, Washington DC (named to an officer in QMRC), and a Mexican Border Service Medal to a member of the 5th Maryland Infantry (National Guard). Mike Packard brought an enormous photo book of World War I personalities that was fascinating to flip through, and Aaron Packard had a great selection of mostly Civil War storecards to show. Lenny Goldberg brought a few military "good fors" and Dave as always had some outstanding medals he picked up at Baltimore to pass around (including one Julian Leidman teased everyone as being a bowling piece). Julian, Wayne Herndon, Gene Brandenberg, Steve Nishop, Chris Neusil, and Jon Radel all joined in the fun as always - had some really interesting discussions about all aspects of numismatics. To me, these dinners typify the best of our chosen field - camaraderie, great stories, and an amazing talent pool. 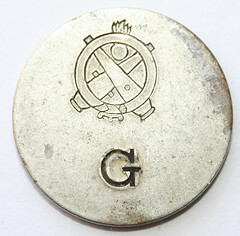 It is always a highlight of my numismatic calendar. 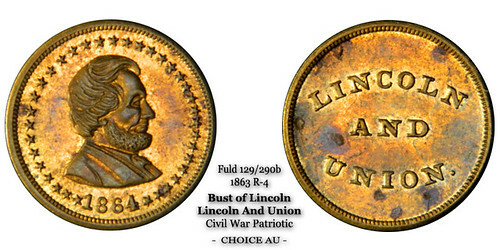 At the dinner Tuesday I passed around two unusual 1876 Centennial items I purchased at the recent Baltimore show. 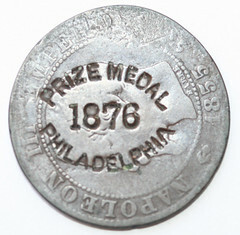 The “Prize Medal” is counterstamped on an 1855 French 5 centimes. 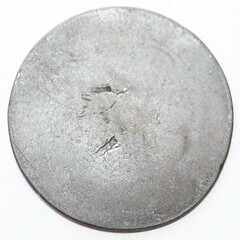 The other one was struck with incuse lettering on a 21.5mm nickel planchet. 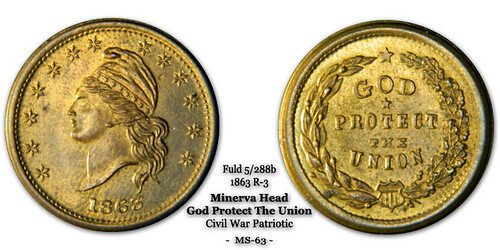 I mentioned them to Ron Abler, who recently published an on-line catalog of Centennial medals, but neither rang a bell with him. 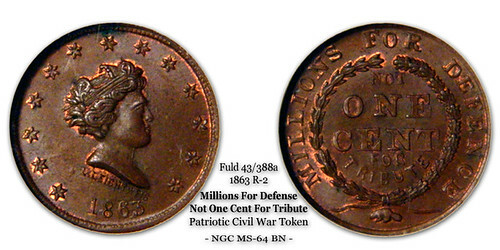 I haven’t attempted to research them yet, but do recall that a couple of tokens from the Rock Island (Illinois) Arsenal with crossed cannons and bomb design are pictured in Paul Cunningham’s catalog of military tokens. 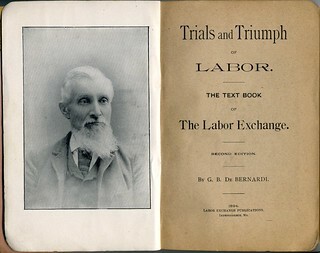 I didn't bring it because I knew Wayne Homren would not be there, but I recently purchased a copy of the Trials and Triumph of Labor book by Labor Exchange movement founder G. B. 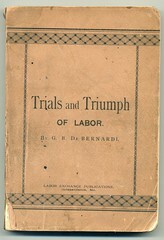 De Bernardi . It has a photo of De Bernardi himself. 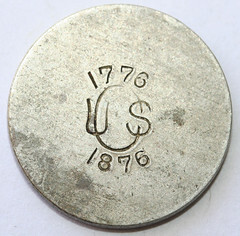 Wayne introduced me to Labor Exchange currency at one of our meetings, and I've become an active collector. 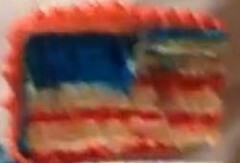 Tuesday’s theme was based on Veteran’s Day. 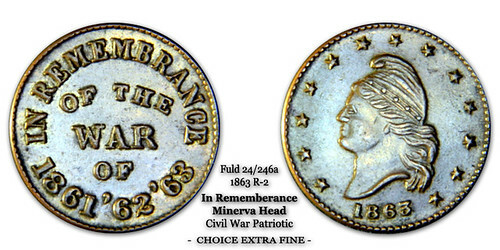 Thus, I brought a few Civil War Patriotics, as well as storecards with patriotic reverses.